So... Here it is. The final movie of gintama. Ive always been a fan of the series, and now after the latest season (on which the last ep is pretty much a filler), the movie is aired. Gintama is actually famous for its "This is the last episode!" scam so Im not suprise if it actuallly made its comeback. Heck, the directors and the casts said the same thing. Ok..... Where do I start.... In Japan, before airing a movie, there are the commercials, and then the No Video Taping Our Movie thing where there is this video camera headed guy being apprehanded by the police. Why do I need to say this? Because this is actually already part of the movie. Lets rewind a bit. Bear with me here. Ok, there are commercials. Madoka magica CM, tiger bunny CM, ano hana CM, etc etc. Am I going to watch them too? Probably, but now its not the time for that. After the CMs, theres the No video tape thing. After that, theres another of the same thing, only in appleseed like anime, a serius one. After that, theres yet another No video taping. again. In anime, just with a much more soft touch. As I started cursing and started thinking "WTH take them so long!" there it was. When the video camera guy was doing his thing, a paperfold hit his head. Gintoki smacked the head of the video camera guy, shouted at him and took him out of the cinema. "You are here during the Benizakura time too right??" "why are you doing this? You are making your parent sad"
"Sorry audiences, Im going to teach him a lesson"
Ginsan scolded him and the video cam guy just nod. Turned out to be yozoruya is taking a job as a cinema attendance. After smacking the video cam guy a few time, Gintoki found out that the video cam guy actually came to Edo to be a director or something (dont remember, but its somewhere along that line), but he didnt get the skill or something so he decided to venture in movie piracy instead. Gintoki persuaded him to not give up on his dream but something happended. His video cam was broken because Gintoki smacked him too many times. "Ohh.... Sorry. Wanna go to big camera(a big electronic store in Japan) after this?" In which the videocam guy reply with a headshake. As the guy walk away the scene changed. Another No video taping thing! Only this time, there was the videocam guy and Gintoki holding a video camera.
" Why do you ended up video taping!!?" Kagura and Shinpachi said while flying kicking both of them. I was laughing so hard at that moment, Gintama sure is funny~ I thought. After that Shinopachi told Ginsan to take the job they are doing as yozoruya. Showing they even got a set of limited film (that combines into a really weird SM pic). Back to the video guy. Seems like the guy got something in store inside his tape. An AV more of that. Ginsan, being a gentlemen he is, offer to check the content of the video in the toilet. That is when it happened. He time slipped. But most of the decks got many cards to be unlocked... When is the next DLC coming i wonder... i hope they brings in a draft mode or something. Currently doing the challenge. 250 attack monster is not something you see everyday. 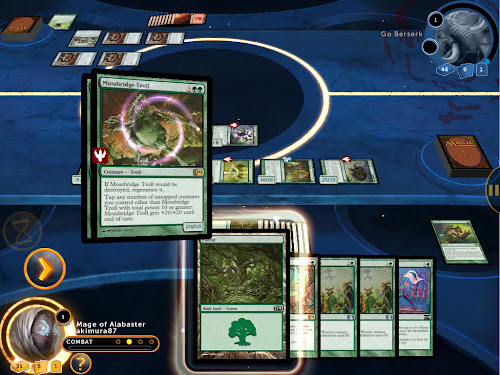 Good thing there are no Magic Cylinder in MTG. Anyway the reason it took so long to finish this game is because PSN PLUS (the US one that Im currently a member until June)-anyone know how to confirm until when your plus subscribtion expire? I think I got the 3 months free but I cant be sure...- gave a free awesome vita game. Zero Escape. Naturally, Ive beaten the game, and even plat it. Easy platinum though. The story is GREAT. The story is.... GREAT. Im saying this twice and using my caps to emphasis. Although Im a bit confuse about the ending. Im sure they will make a sequel soon. 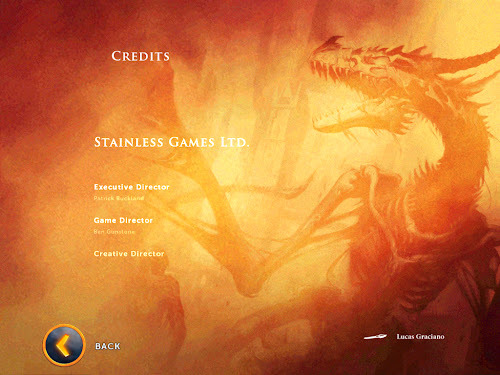 Completed the campaign for magic! Just a quick post saying Ive completed the game. 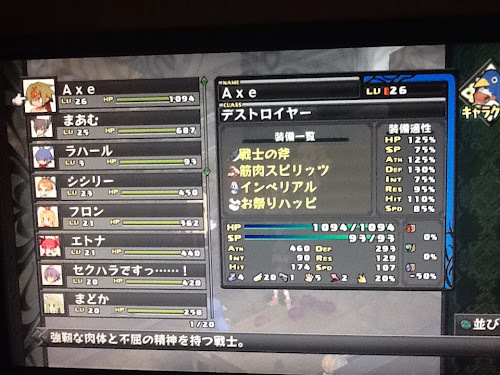 I know, the ps3 version still havent got out. I got bored waiting. Though I should have gotten the ps3 version. The frame rate for the ipad is quite frustrating. The confirmation thing also need tweaking. 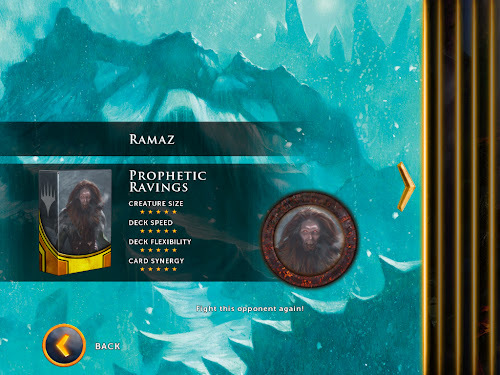 God knows how many time I thought I have selected a card only to realize that I didnt and I just wasted my Farhaven elf. But hey, i probably took quite a while if I played it on the PS3. On the ipad, I think I can unlock all these decks with ease. Plus, its relatively cheaper. 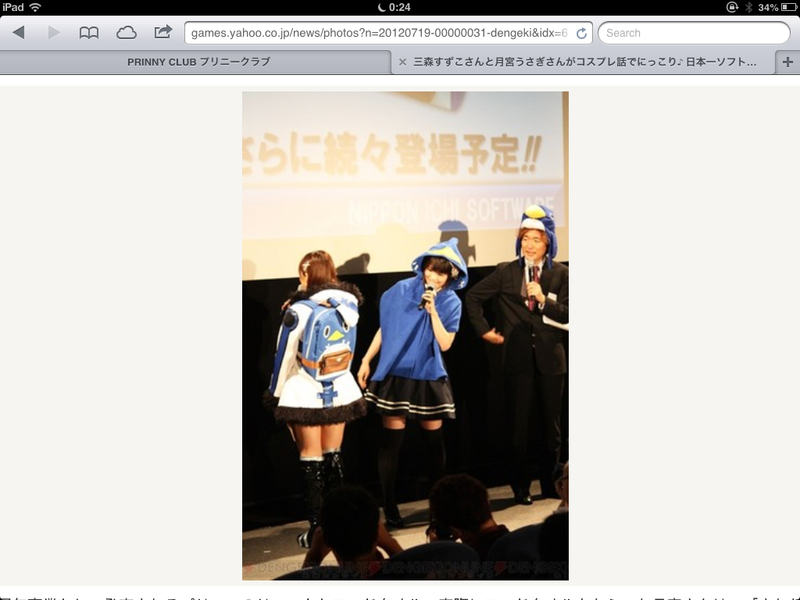 850yen if Im not mistaken. 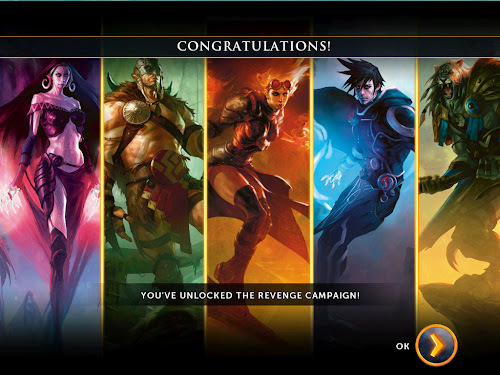 Now, the revenge mode got unlocked. And I got some slivers to recruit. Probably will make a thorough post about this. Downloading it as I am writing this. Its on japan apps store. 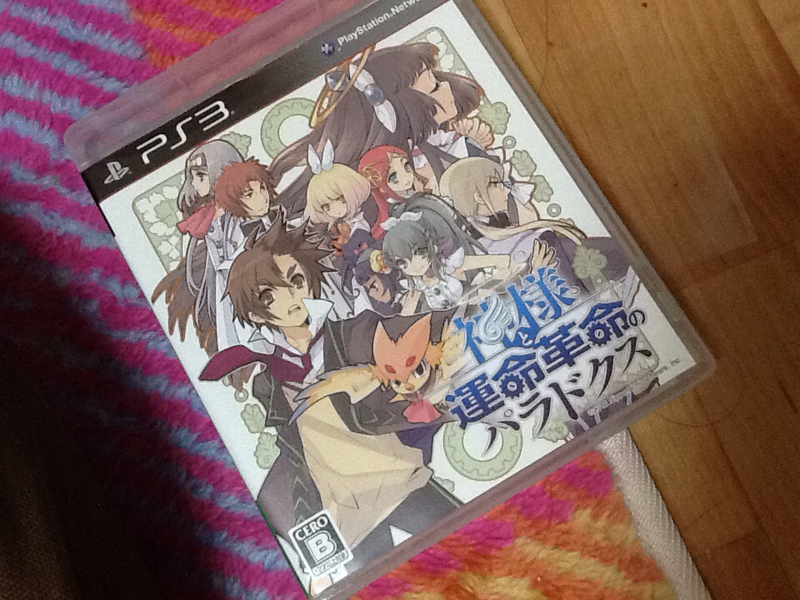 I plan to try both the ps3 version and the iOS version before unlocking the full version. Although, theres that maintenance thing on PSN so who knows when will it came out. 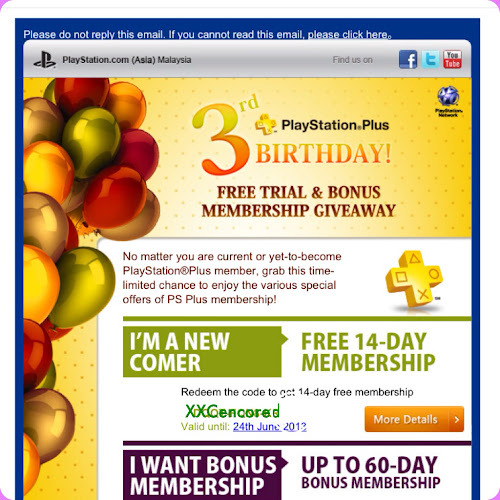 Another thing, until 16/7 japan PSN is giving a 15 days free PLUS. They got time traveller, zennin shibodesu (although its going to be out on US psn too), and some other great japanese exclusive games. Currently trying to get all the extra characters.... Etna is my strongest character now, how about that?? 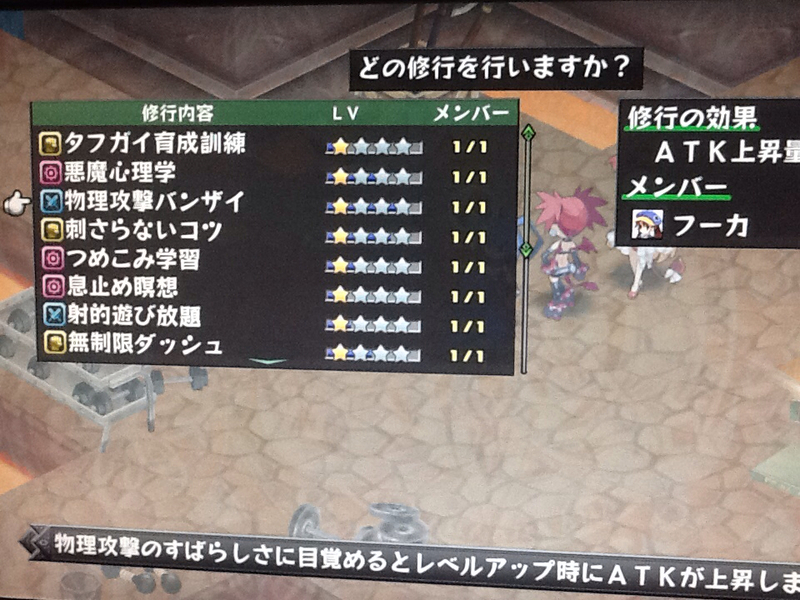 She got the ability to increase her ability 100% ( x2 ) if the only ally character in the map are prinnies and Etna. 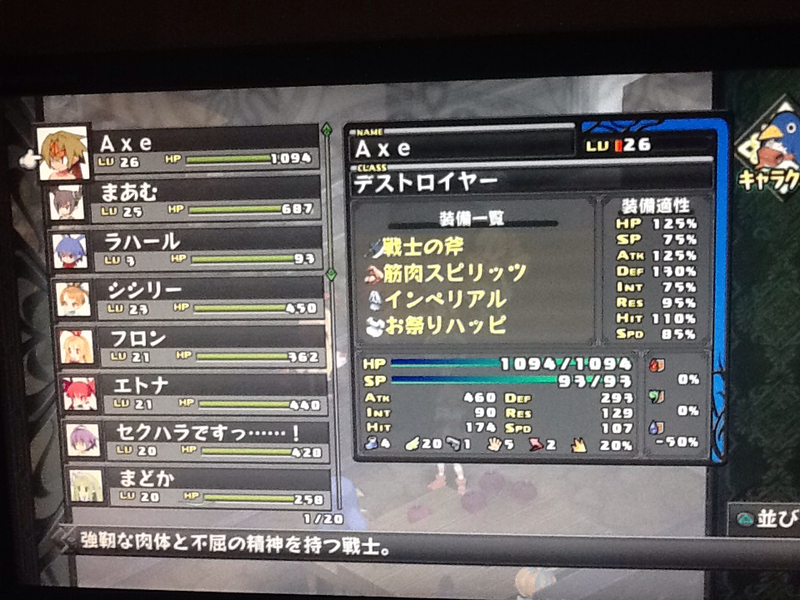 Other than that, Im still increasing my main characters to lvl 160 to unlock the final form before reincarnate them. Oh, and Im still trying to let my mage learn ALL the tera magic. The good thing is Im not playing Last of Us until the game got cheaper.... 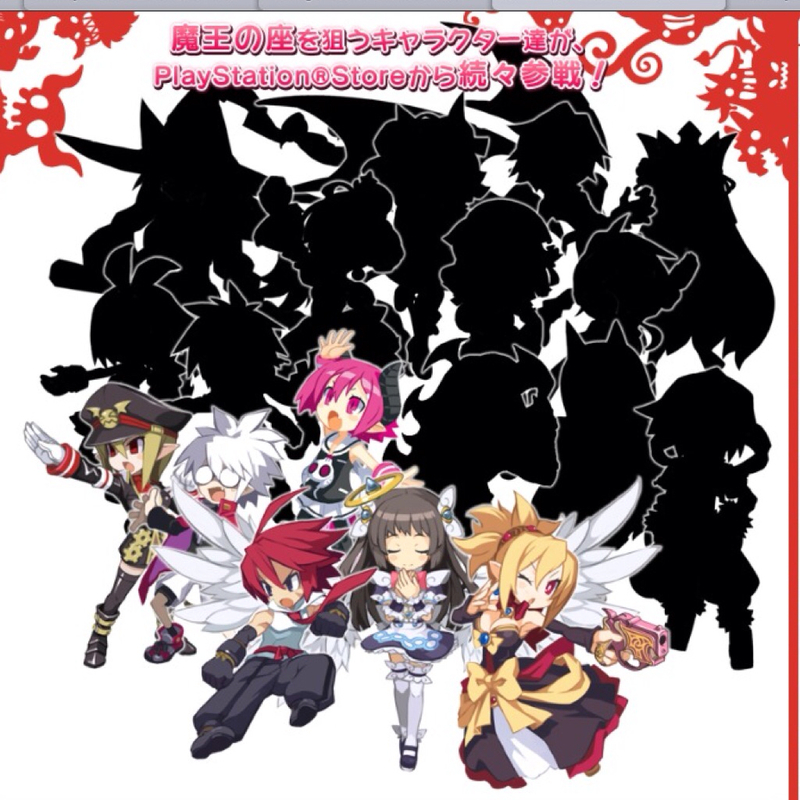 Though Im guessing after a while the game will be a free to play, but who knows who long will that take. Nyway, for my next post, Im thinking about writing my thought of this game, since I love it so much. NIS game got the tendency of you have to play the game for a long time if you want to get the plus alpha. 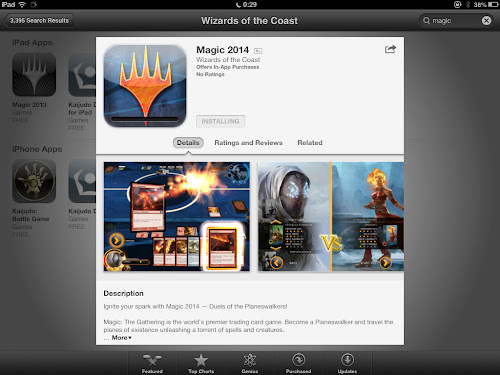 The problem is.... MAGIC 2014 is out the Tuesday. 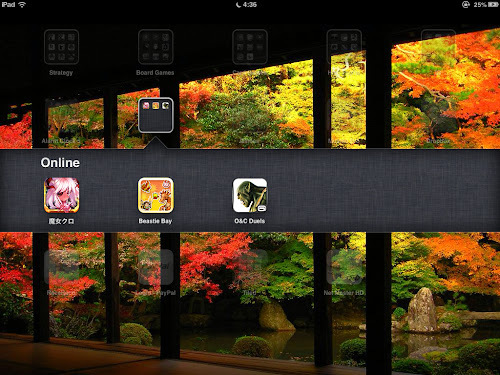 Still not sure whether to get the iOS or the PS3 version. 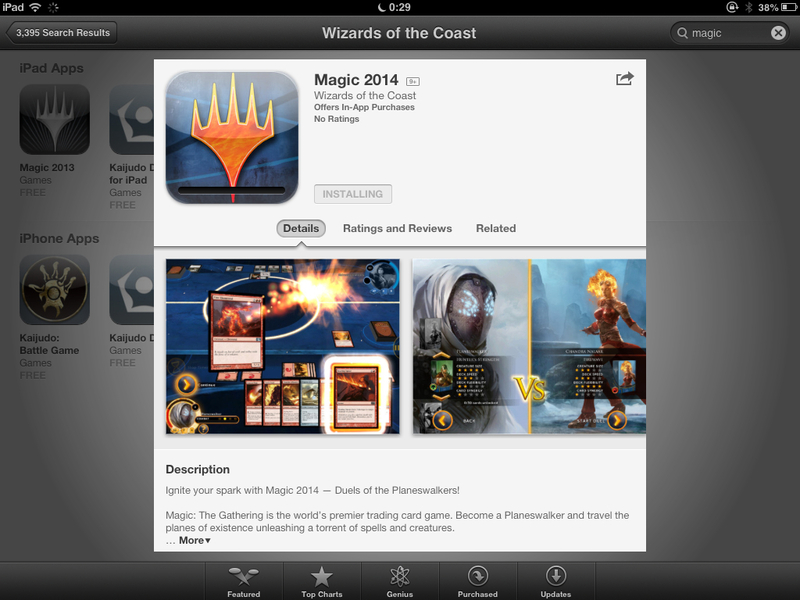 Since the graphic is almost the same, the much more mobile iOS version seems like a better idea. 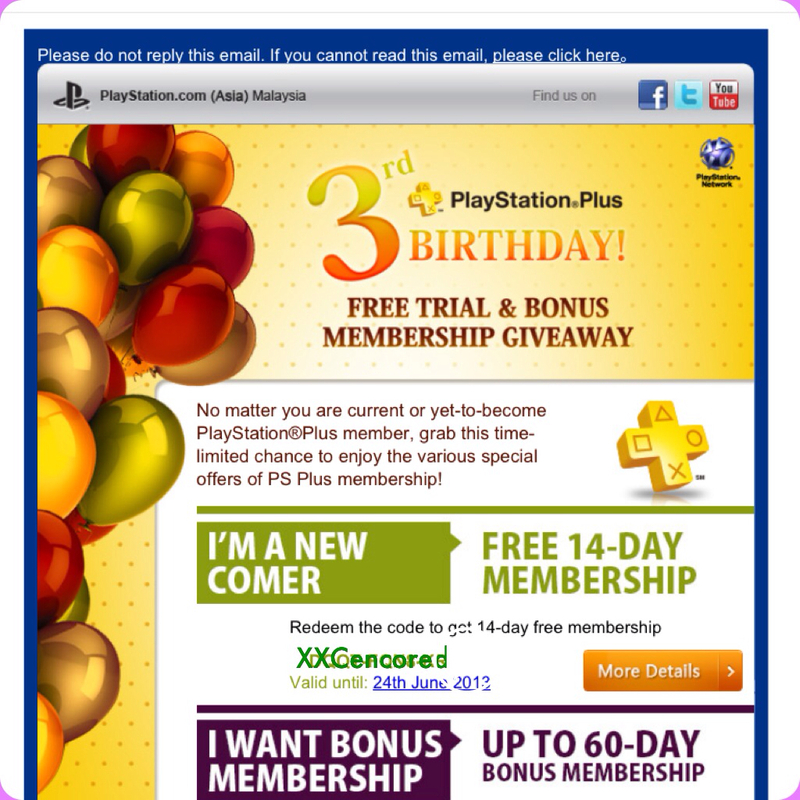 Thank you PSN asia for giving me 14 days of plus. 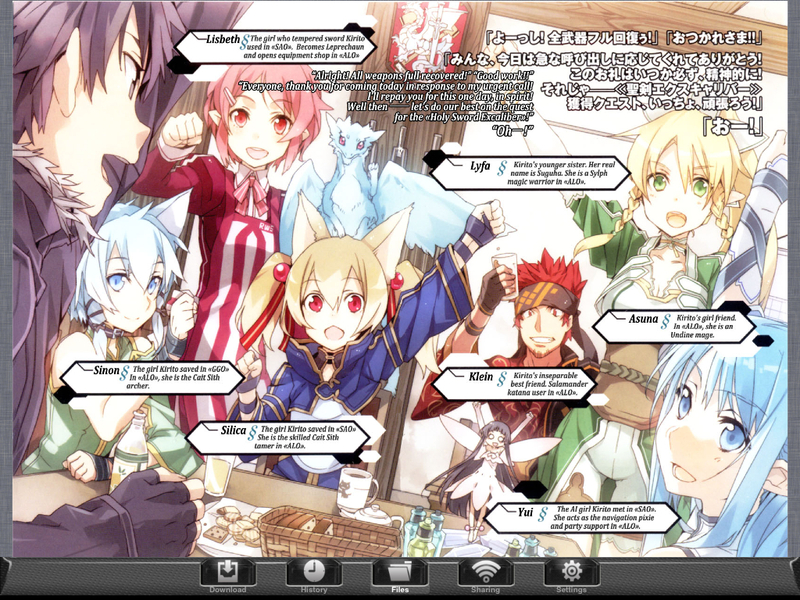 Most of the games are for VITA though. I reset my memcard just for this 14 days. Im all Im playing is BLOB. And..... i want this. But its not in store right now. Its a prinny hood towel. Just keeping the blog alive. Im searching for internet friends that share the passion for games, manga, and anime to play MP and making my twitter lively. 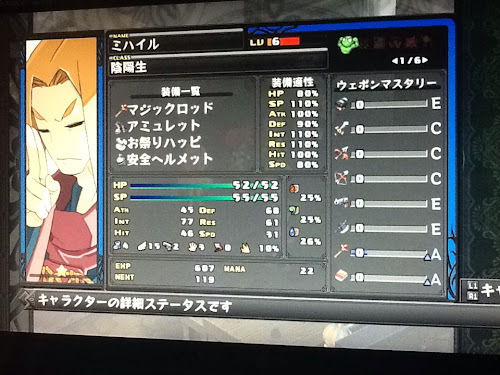 Disgaea D2. Thought, review, and walkthrough. Alright, for my first long post after quite a while, Im going to write about a game that I really like. Just bought it about last week though. 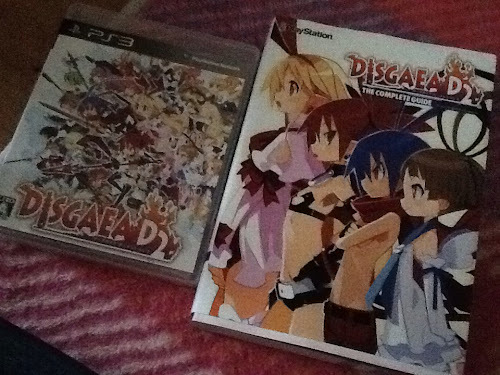 The game, disgaea D2 is a sequel from the original disgaea from... 2003 or something. 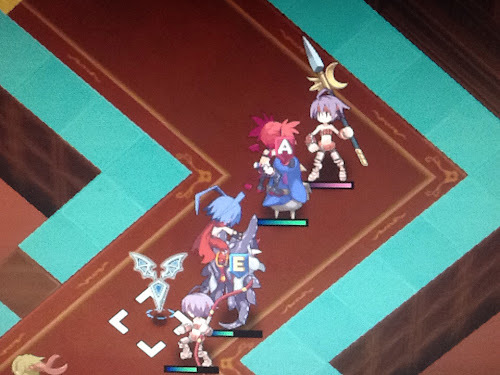 So its not some random fist dude, or a smart student overload, or a vampire ( yes, I played all of the disgaea series ), its THE Larharl. Anyway~ I bought the standard edition, without the nendroid Etna and Flone or the BMG discs ( obs). 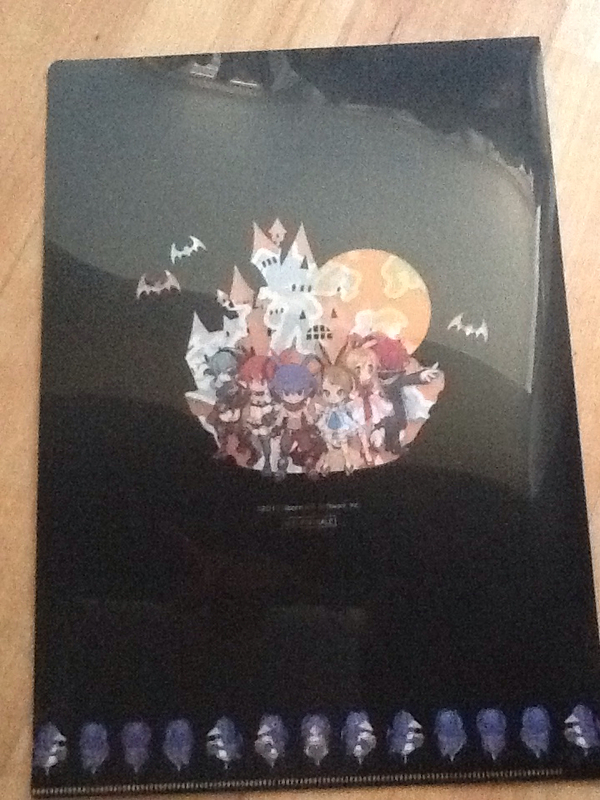 But I got a guide book along with the game for like 500 yen. I dont usually care about game guide book, but hey, this is Disgaea, the game is like verrrrry deep. The game and the official guidebook that I got. Oh, I should warn you. There are probably some spoilers in this post, but Im currently only on chapter 5 when Im writing this so nothing too serious. So lets take a look as to why Im loving this game. 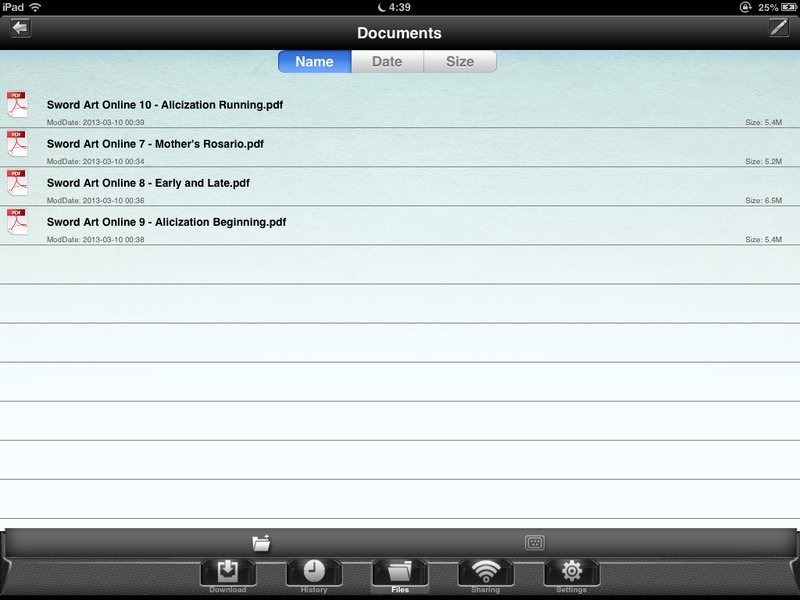 The interface is much prettier. 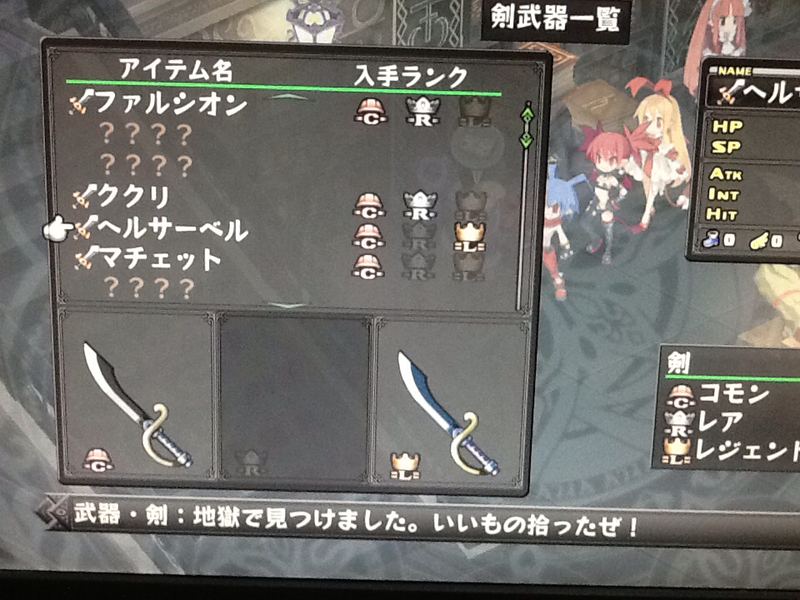 Looks like monster hunter though. Unlike 2,3, and 4. This time disgaea is having quite a makeover. The UI is unlike anything before. They threw out some things, make it simple, and touched up a bit. And, kinda like dragon quest, when you move around the castle, Flone and Etna will follow behind you. Its fun trying to lose them by double jumping up the balkoni. Lol. 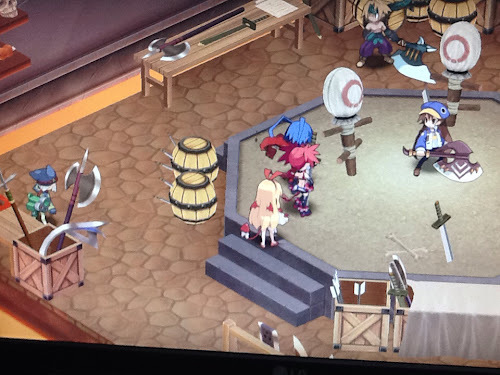 However, if you remember the secret Etna room ( which opened after pushing 2 switches ) from the original disgaea, you need to lose Etna. Not by killing her, no one would like that, youd need to appeal at the court thingy. You can even change who you control, etc. not really important for the story, just for fun. Oh, as you can see, Ive only thrown like 7 hours into the game when I took the pic. Probably around 20 something right now Im guessing. The hospital has gotten better too. Your reward is listed when you reached some benchmark. 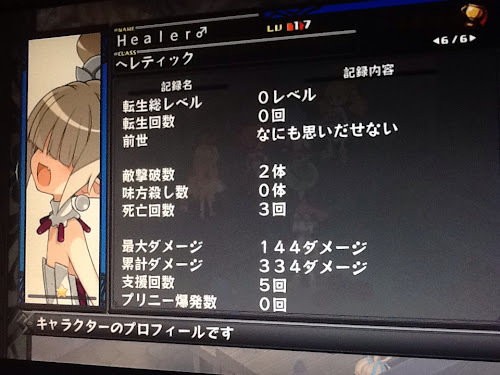 As in, if you healed up to 500000HP, you'll be getting ???????. <-- its written like this, so youd know that youd be getting something, but you wouldnt know what. Unlike before, the same rarity equip bonus is much easier to achieve. 2 gold equipment added to 20% bonus, 3 to 30, and 4 to 40. Silver gives 2 to 10%, 3 to 20, and 4 to 30. Next, lets talk about characters creations. 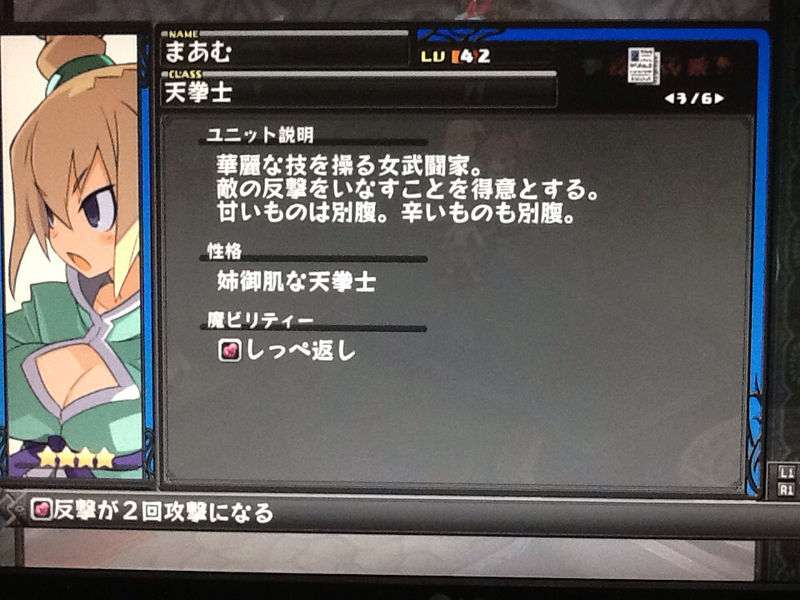 So just like from disgaea 4, the old man is no more, and this guy is the new geomaster. Oh, I should remind you that on this series. You dont need to tell the characters to learn skills. They will learn automaticaly when they leveled up. HOWEVER, there are some skills that can only be learn by money. 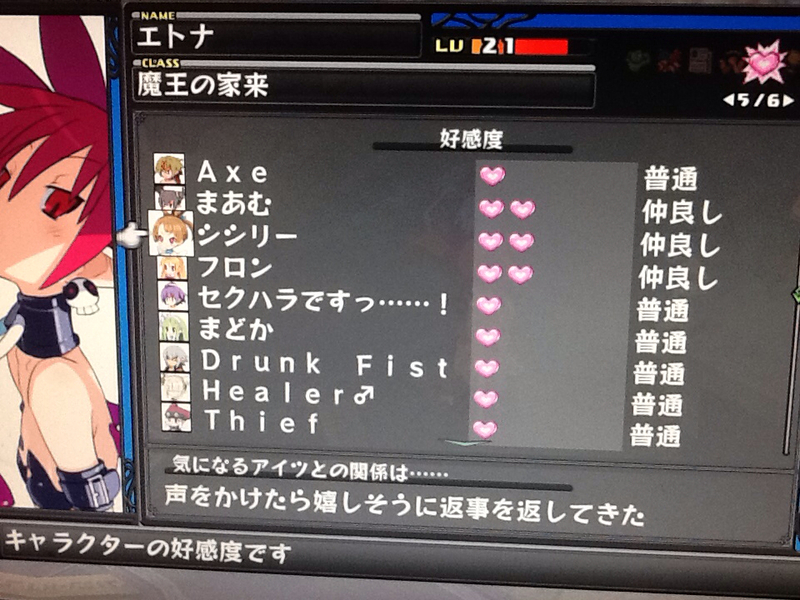 Each characters got they own personality that you can choose when creating them, which affect their passive skill. I just created my archer just now and I can choose whether to give her an a 100% against flying enemy, or extra 2 range for attack or 5% increase in stats for each enemy in range. I chose the second one. 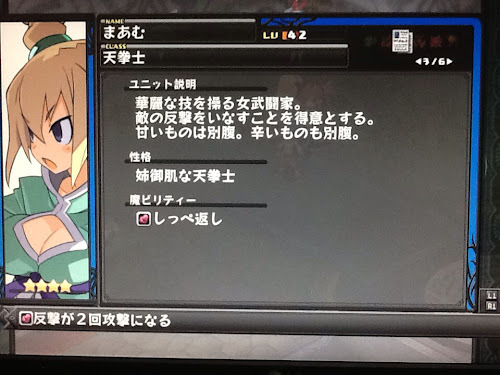 Larharl gets 10% increase in stat everytime he destroyed an opponent and Etna got an extra 50% damage if she attack a full health enemy. Which might explain why my Etna is still low level. My Maam ability is to counter 2 times. i.e enemy hits you once, Maam will hit one time to get even and one more time for the interest. From the ability perspective, Flone might be the best. But this guy next is probably the cutest. This is the male cleric. 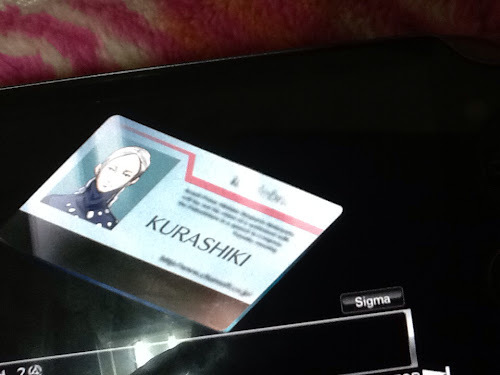 As houuin kyoma said it "but he is a guy". OK, probably not the cutest. My vote for the cutest is probably the female Larharl. The voice actress Mizuhashi Kaori ( bakatest minami etc ) is really good. Of course, she voices the male Larharl too. Of couse, I still havent see the angel Flone yet. Ive heard rumors, but my vote now is for female Larharl. The human characters is cute and all, but the monsters arent to be dismissed. Heck, there are just about as many monsters as there are humans. 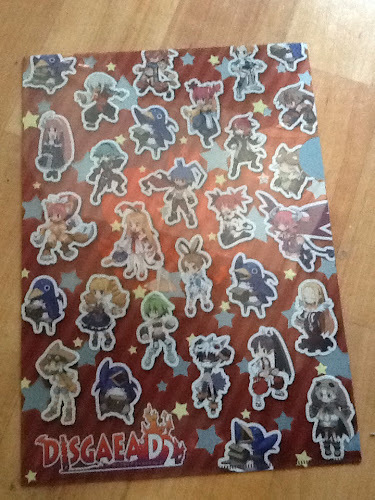 I tend to make every type of monsters and characters, looks like im going to need a bigger home panel. 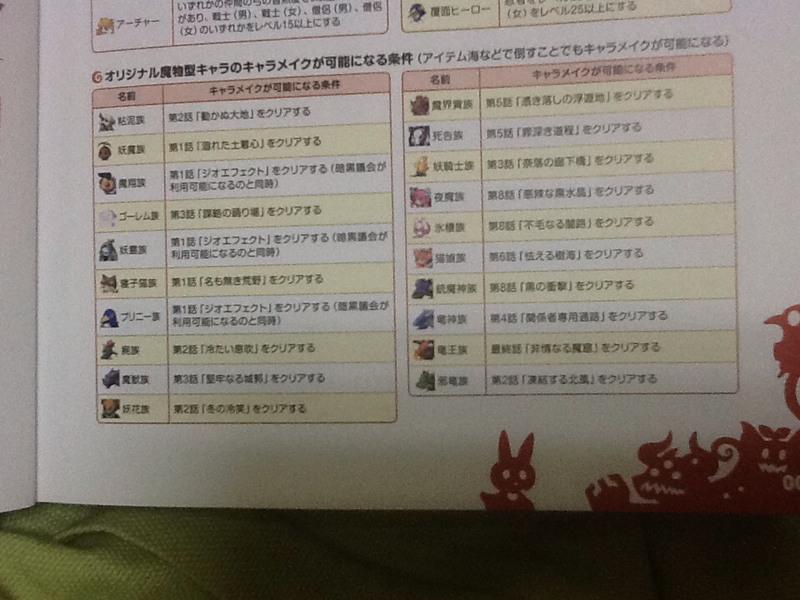 A LOT of monsters to be summoned. 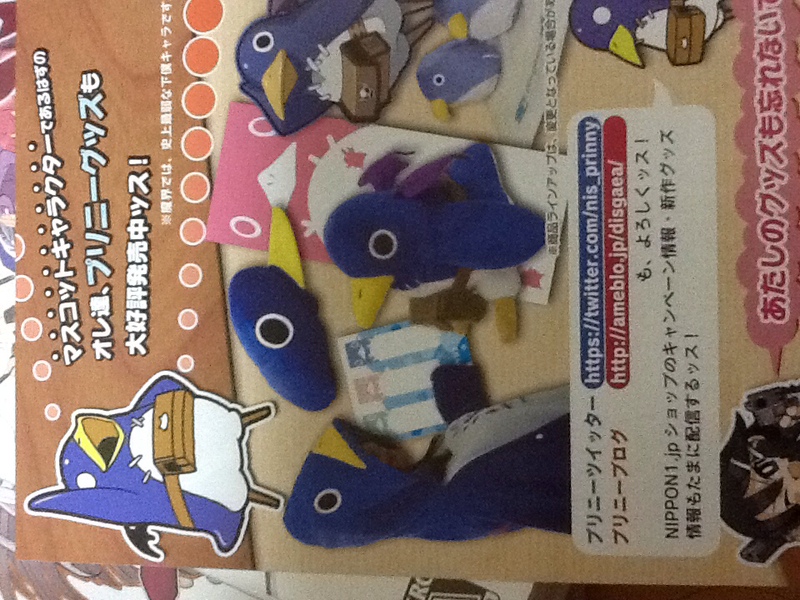 Oh, by the way, the one that got the most stats is prinny. So think twice before you start throwing one. Nah~ just throw them. Its much more fun that way anyway. Their passive ability affect how they blow. Short but powerful or long but much weaker. Enough about character creation! Systems! Lets talk about the new system next. New feature that shows the affection of others. You gain their affection by healing them, adding them, etc. You get hated by them by well.... Killing them is the fastest way. What does that do you ask. 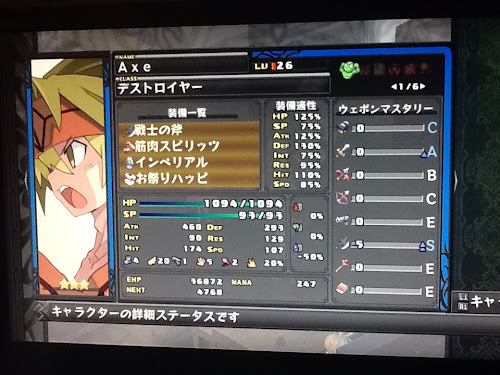 Firstly, it allows Protect action and Cover Attack. Your teammate takes the damage for you instead and the enemy attack the enemy again after you respectively. And well... I think some cut scene will happend if the hearts are full. There is a trophy for that for sure. They scratched out monster change ( or was it monster weapon? ) and add in piggyback system. This is one way to transport your human character. When killed by enemy units, only the monster got killed, bit if they win, then both the monster and the person piggied got the exp points. But the best part of the piggyback system, is the skill. An example of the skill that initiate from the piggyback. 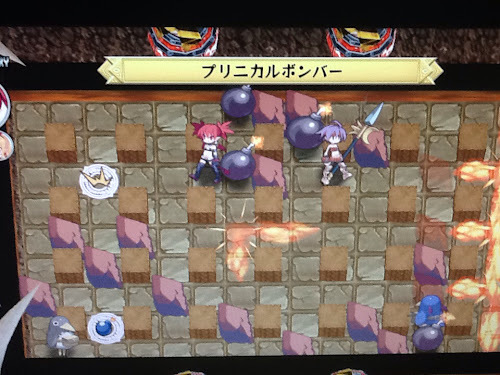 Yes, that does seems like bomberman. Not even going to single line that one. Next, theres the new item world. They made the item world more challenging. First, youd need a ship. The default ships can only go as far as floor 30 and 60. Of course, thatd enough. Thing is, the legend rarity (gold) items goes up to 100. To do that, youd need to eliminate the pirates (which are sometimes 2 times your level). 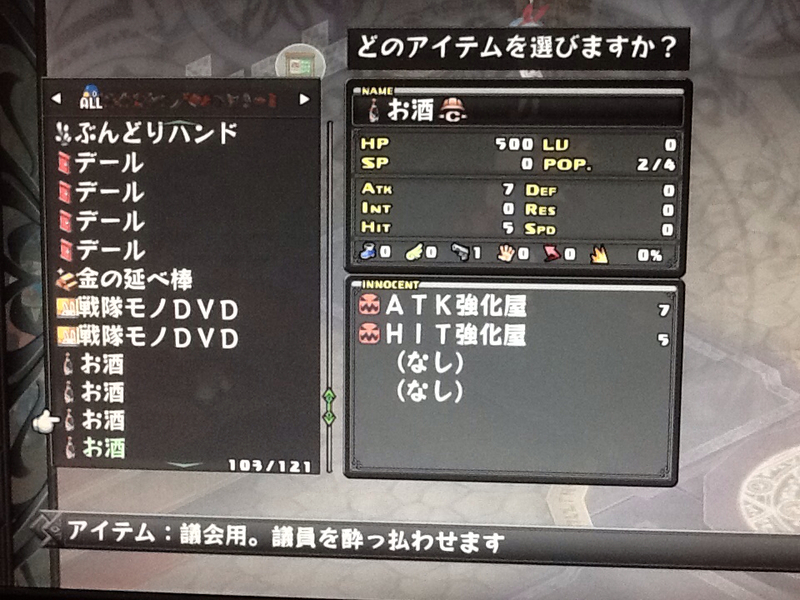 One more thing, Ive never completed the item world on disgaea 4 before, so i dont know if this is new or not. but from what I read, after you completed all 30 level on common rarity, the rarity will increase to rare (silver), and after you completed that, it will increase to legend (gold). After you completed that, the rarity doesnt change but the you can go to the item world from the floor 0. 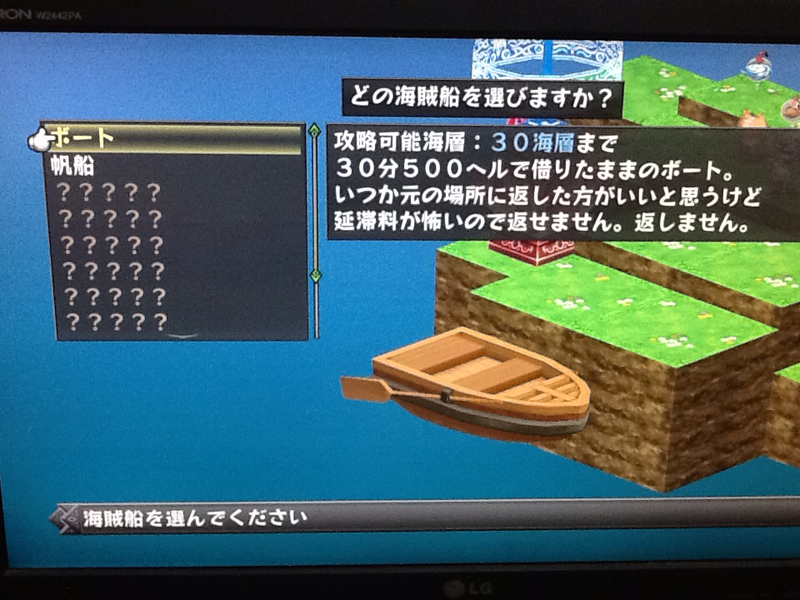 Caption : A ¥500/30minutes rent boat. Thought about returning it but was afraid of the late fee. Not returning it. Lol. The geopanel is the same as the.... Second? Not the one that block type and can be stacked. Its the triangle pyramid thing. Simpler. 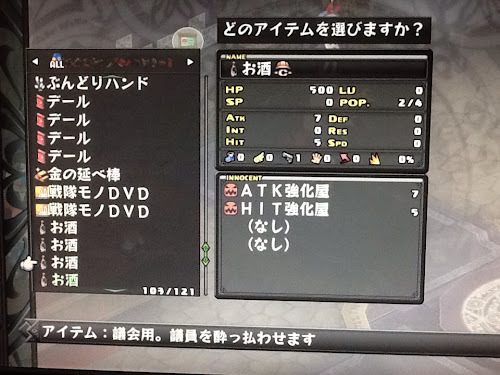 Oh, when going into item world, its quite frustrating to manage which item to bring right? No? Oh well. Nevertheless, there is no chest item as such. You will bring all the items with you. 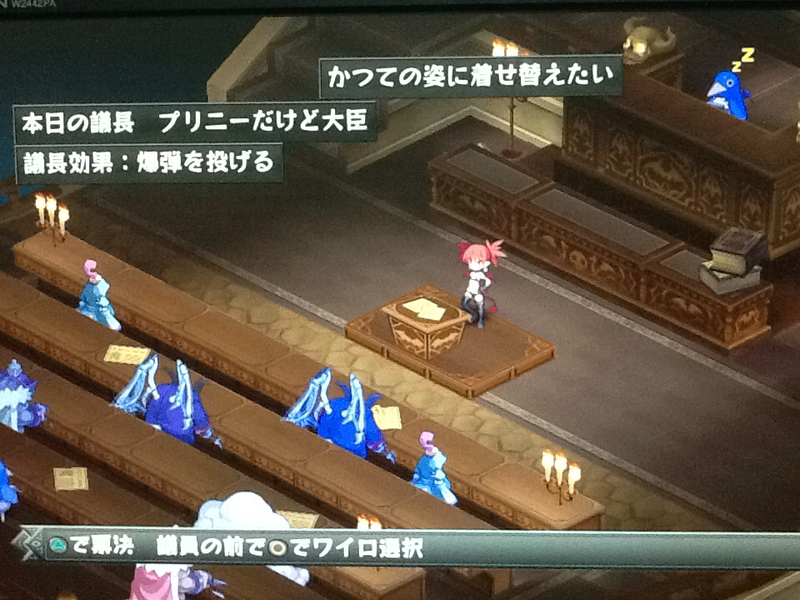 No more "OMG, I forgot the escape door"
The item court is still a feature in the game. The catch is; for the item court, you are going to need money instead of mana. Which costs like a fortune. The court too has gotten much better. For one thing, there is the judge. The judge is usually asleep, but if he is awake, he can use special ability to support or condemn you. 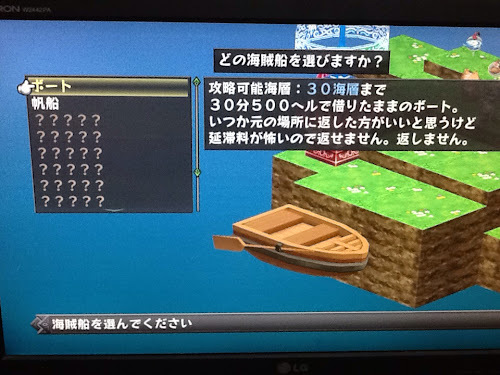 Like before, you can bribe, although there are many see saw effect in the game. Got too much support from one type, one other type will start to hate you. Of course, you can always beat the hell out of them to make them approve. Or.......! A new feature, you can literally throw money at them and make them approve. Requires A LOT of money though. Lastly, is the gym. 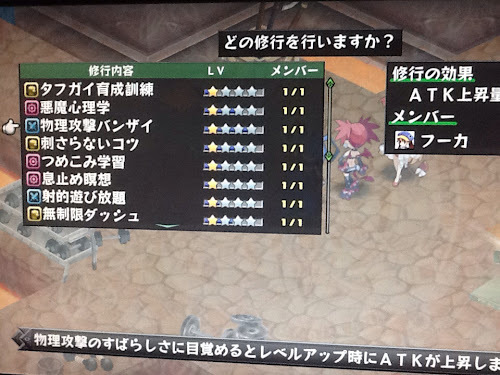 Much like digimon world, you can make your characters go to gym so theyd get an extra bonus when leveling. Oh, I got Fuuka and Decco as a free DLC when the game came out. 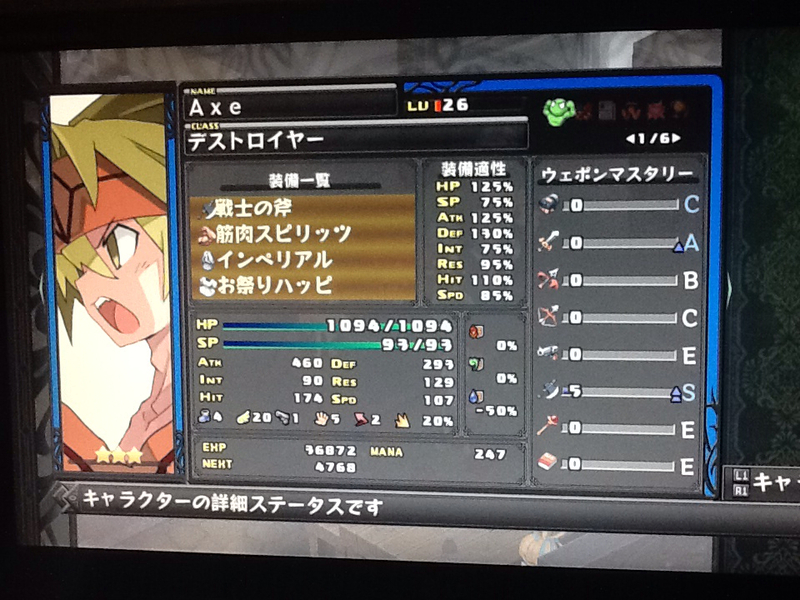 One of the best axe in my team. The story goes like this. Up until chapter 5 though. Most demon dont recognise Larharl as the overlord. There are some that supports the former overlord but dont think the heir for the throne is suitable. (One of them is voice by Kuroyuki Hime from Accel World). Some weird things are going at Makai. The heaven flower is blooming all over and causing some weird phenomenon. Like 2P Etna and Girl Larharl. Overall, great game. It brings the memories back in a good way. 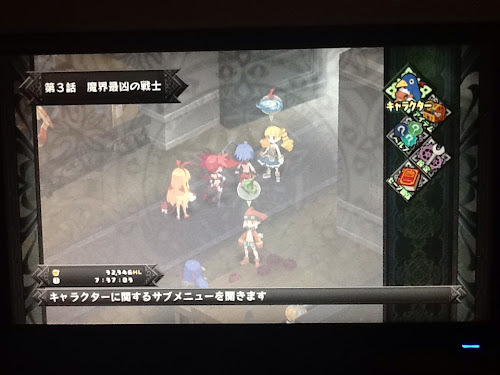 Where most developer fail to deliver a sequel, NIS brings what people love about DISGAEA and present it with flowers all over. The humors are as good as ever and the seriously who didnt cry on the first game where the pink prinny goes back to the red moon? Its a sequel of that. DLCs are coming out too. Not sure if that a plus though. Coming out this fall for the PS3. Wow, i just finished watching the E3 conference for microsoft. Those are some good games there got there. 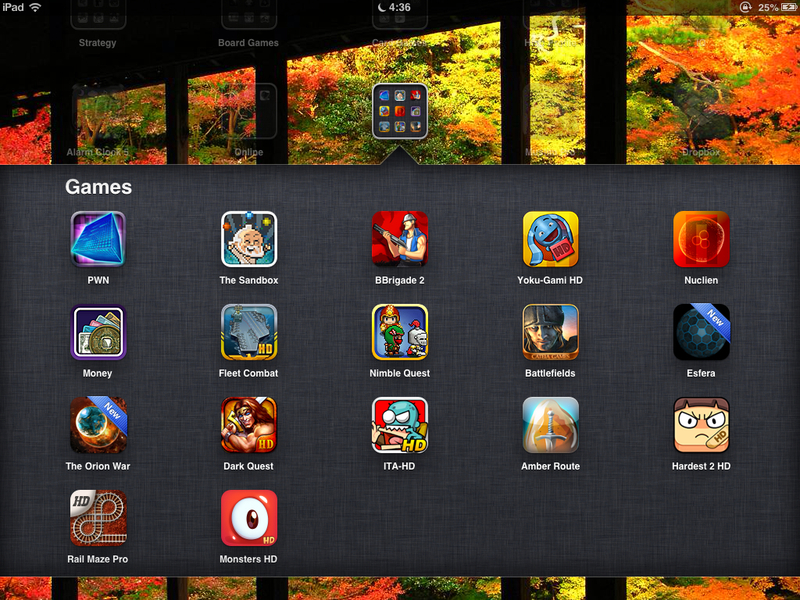 Im going to put up some of the screenshot of the games next post. Now, Im going to talk about the iPad that Im using. Dont mind the folder name. This is the folder of the relaxing games. The game that I play not so seriously. Consists of mobs of angry birds ( which I got for free ). 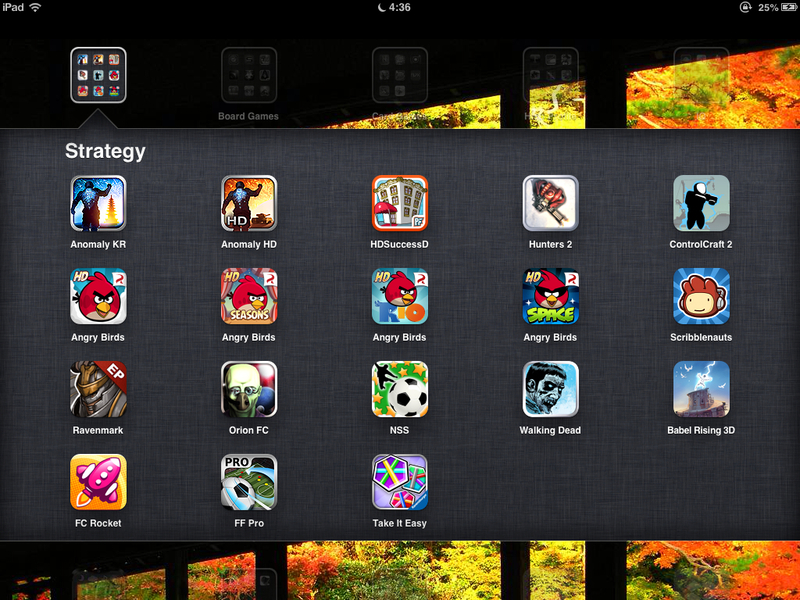 The best thing here probably would be scribblenauts and anomaly I think. Next comes the board games. 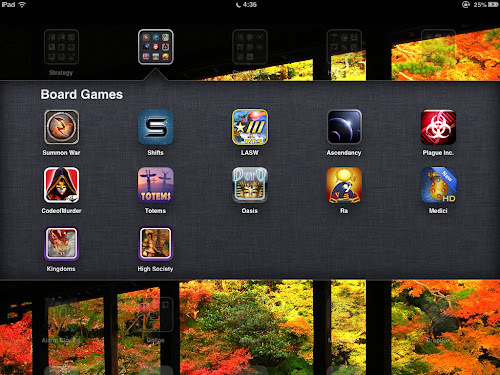 This folder however, contain the board and card games that I once enjoyed, moved on, but still going there back once awhile. Reiner Knizia games are great mostly. Got most of them on offer. And then the cards. As much I enjoy MTG, Ascension is a great card game too. 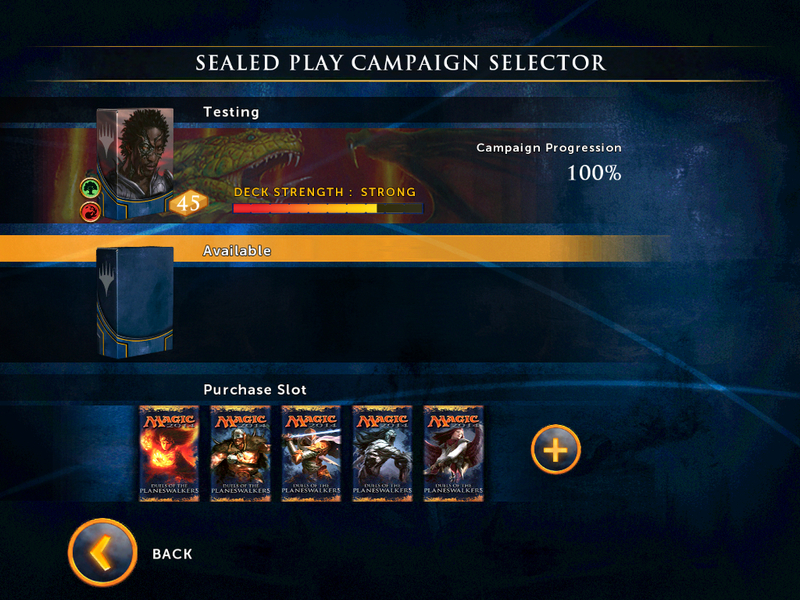 The deck variety isnt much though, thats why I moved on. And next, comes the hi-profile games. Im just learnt to play Le havre like a week ago, and I can only take on 2 level 2 oppenents. Its a really great game, no wonder it got the best board game of the year award from somewhere. And then, theres warhammer quest, uplink, caylus, stone age..... Im enjoying those games too. 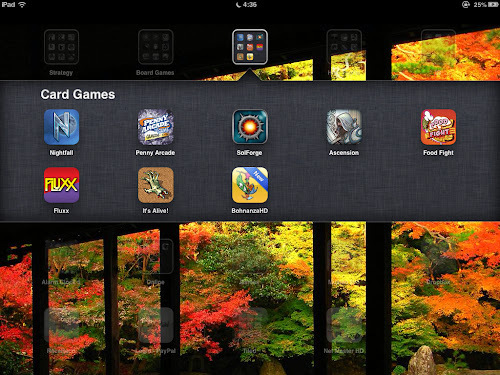 Most because Im influenced by the guys from pocket tactics and boardgamegeeks actually. I havent yet to learn to play tigris, eclipse and frozen synapse, but the the UI, graphics, idea seem great and I cant wait until I got the time to learn to play them. That is, after I got tired of le havre. Which is not that soon Im guessing. Agricola comes next though. And then well.... Others. Lol. CnO duels is great though. Ive managed to make quite a great deck. Cant wait for the next update. You guys can check out whats free right now by clicking this LINK. They keep tracking on the limited time discount too, so check them often. 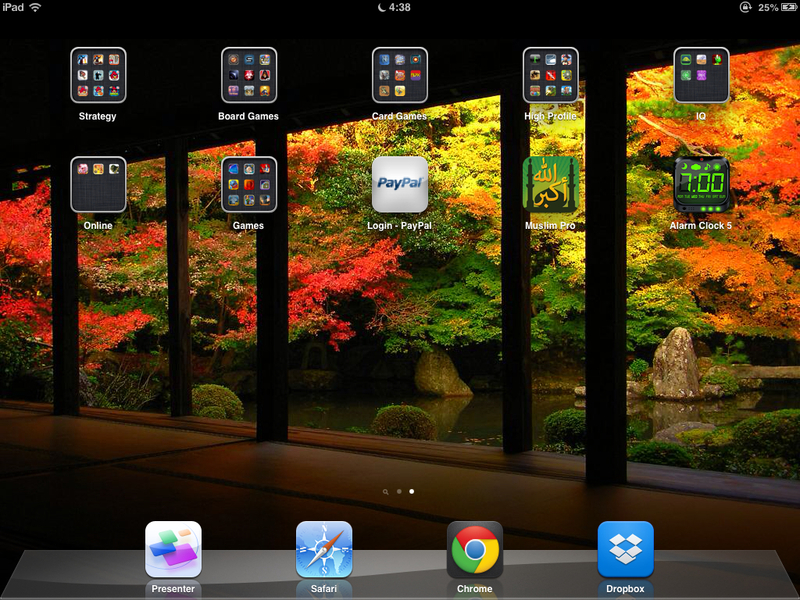 So thats how my iPad layout looklike. 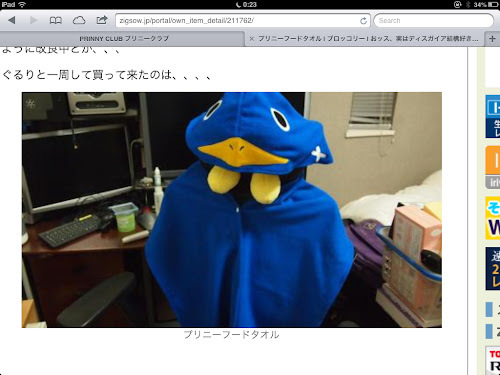 The safari is for main browsing, and the chrome is use for the incigneto mode. IYKWIM. The presenter is use for research meeting. 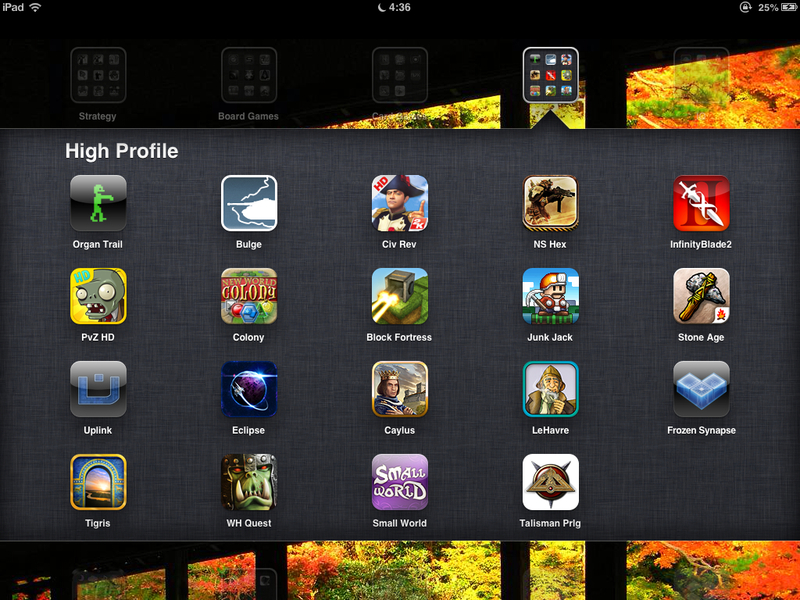 Gaming isnt all that I do with my iPad. I enjoy reading light novels too. Btw, these are sword art online novels that is translated by bakatsuki. Reading with iPad is great actually. I dont use a proper reader to read it though. And.... Watching simpson. :) will put on The Office after I finished watching these. Meaning i have to return it before I graduated. Thanks for cloud saving huh.
. - Erm. Hi everyone. Will...update....one...fine...day.